Being a high-end refrigerator, the Kitchenaid KSC24C8EYY02 offers a very specific center of attention. It was introduced as the new selection of the Preserva from Kitchenaid and promoted with the quality of keeping more fresh food and can last longer. Its performance is excellent to keep the juiciness of food being stored while providing more ground-breaking features. In spite of those great strengths, this innovative refrigerator consumes quite a lot of electrical energy. Although a lot of other refrigerators present more reasonable way of cooling food, the Ksc24c8eyy02 is a great choice if you typically consume fresh foodstuffs. When it comes to usability and design, the Kitchenaid KSC24C8EYY02 is considered as a depth-efficient refrigerator with smart height for maximum inner storage space. The material used is stainless steel. There is a water dispenser which is conveniently placed at the fridge door along with the control panel. Getting into its fancy interior, the arrangement is smart by using a usual combination of plastic and glass shelves with stainless steel rims. Looking at the dairy container, it removes the conventional rounded cover and replaces it with rectangular shape of plastic cover. Its effective ice maker is placed completely inside the door of the freezer. The ice container can be pulled down to let you take ices out easily. There is a clever small built-in window with individual cover for you to see its quantity. You will possibly need to take a little time to become accustomed to the controls. This is because there are quite a lot of adjustment settings. The panel is equipped with touch-sensitive technology. It is used to control the refrigerator temperature, illumination, locking, and even the quantity of water you need to dispense based on various glass sizes. The panel will keep its light on until a minute later when you stop touching the controls. This feature ensures that there is nothing to worry about wasting energy just for lighting. With the new innovation of Preserva technology, the Kitchenaid KSC24C8EYY02 is equipped with the fresh flow air filter. This improvement is affirmed to be able to decrease the level of ethylene gas. This means, the chance of spoiled food will be diminished. This new feature is also stronger than baking soda if you are concerned about getting rid of smells. The shelves space is efficient to be accessed and it allows you to modify. The glass and stainless steel materials will help you clean them effortlessly. What remains from this refrigerator works consistently, although it could operate a little warm regardless of the suggested thermostat setting. However, it can be solved by simply turning down the dial a little. You can always check the temperature to ensure that your groceries are being chilled at the required temperature. The part that makes this refrigerator stand out is the crisper shelves. With the combination of fresh flow feature, it has that capability of preserving foods. That being said, the high-end Kitchenaid KSC24C8EYY02 refrigerator with its Preserva technology is an exceptional choice. 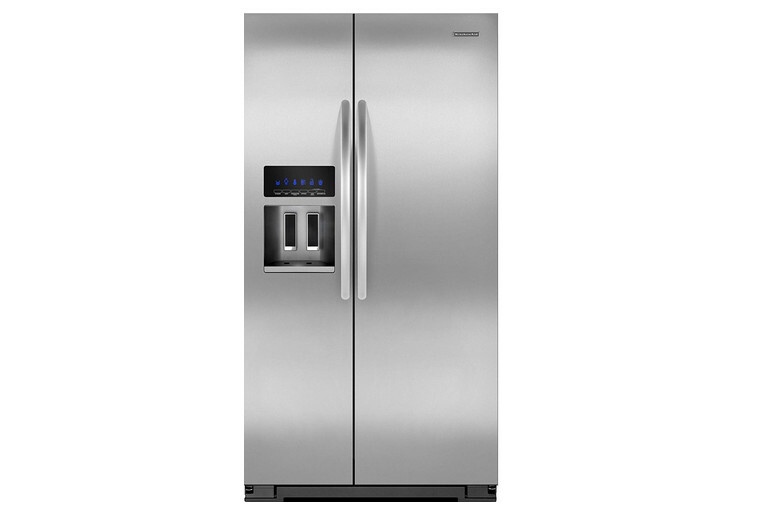 Related Post "The High-End Kitchenaid KSC24C8EYY02 Refrigerator"